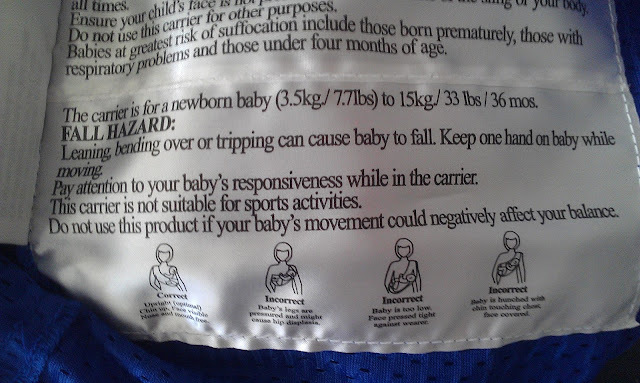 Baby wearing is pretty popular these days. 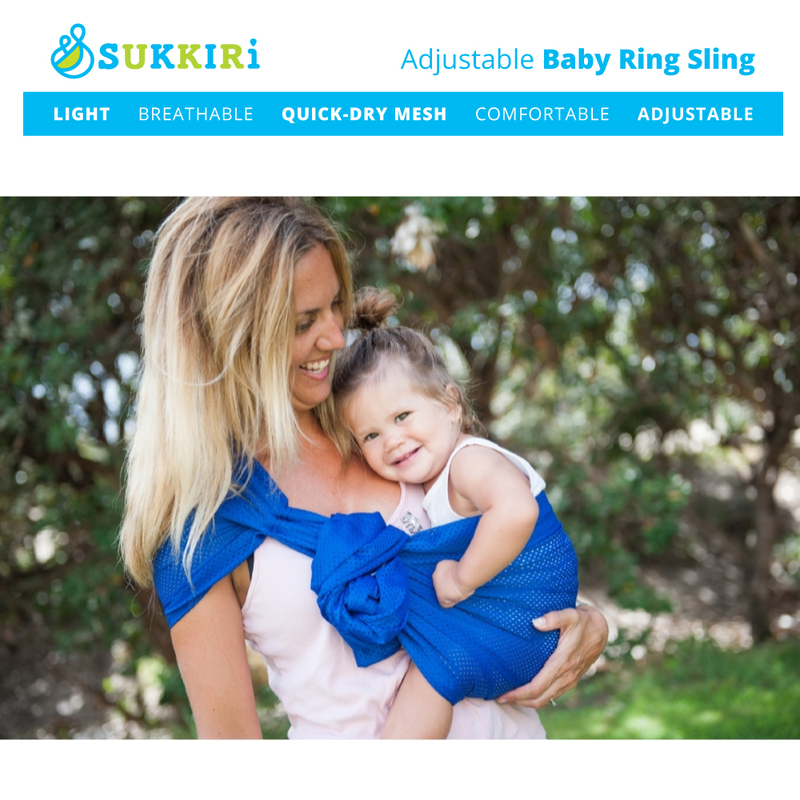 Not only is it a great way to bond with your little one, but it's a lot easier on your back if you are holding your little one the proper way. I got this SUKKIRi Baby ring sling in blue and it's a lovely, deep blue color, made of a strong, breathable mesh and has strong silver rings to hold everything in place. 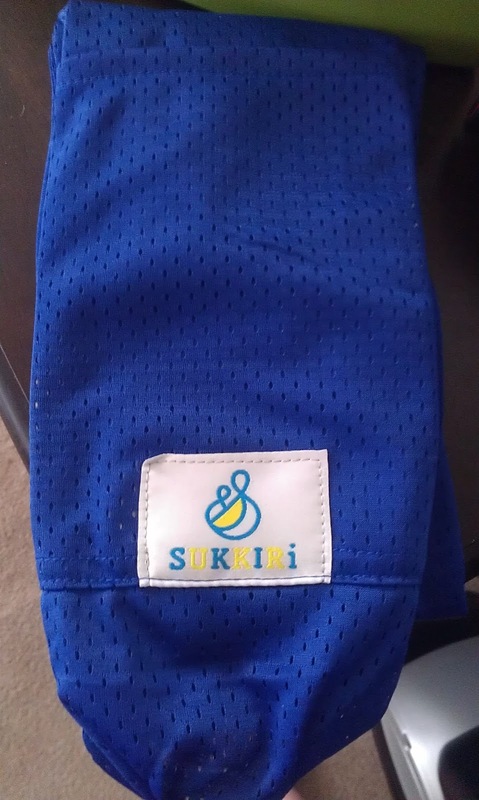 Wear this sling high for infants and babies, and you can wear it at hip level for older babies and toddlers. 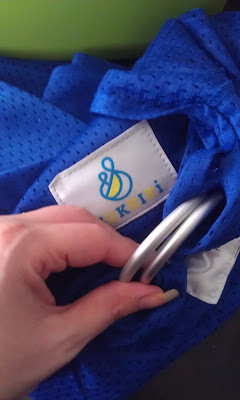 Just in case you are new to baby slings, there's a pretty big patch sewn inside the sling with some information on baby wearing using the sling as well as photos of ways to wear and not to wear it. This really comes in handy, not only while you are out with your little one, but if you have a kiddo that needs to be held a lot, this makes it a lot easier to get housework done or meals made while still keeping them close. 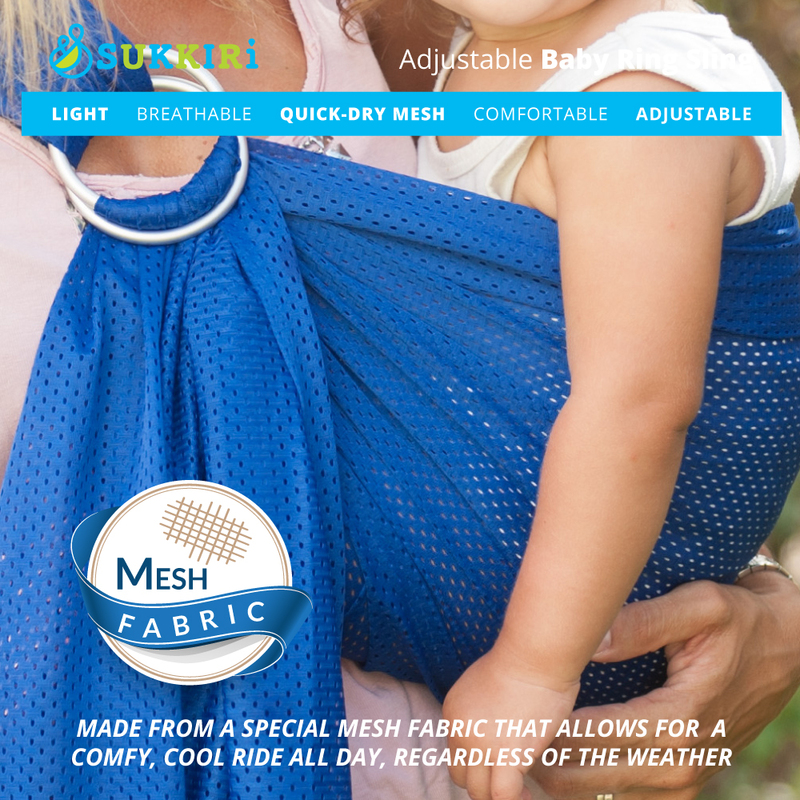 Since it is made from breathable mesh, your little one won't be all sweaty from wearing it, and neither will you, which makes it a perfect beach accessory!